Unknown German IHateJuice has been one of the most dominant limit hold’em players in the online world recently. The nosebleed regular is up more than $1 million this year playing the discipline. 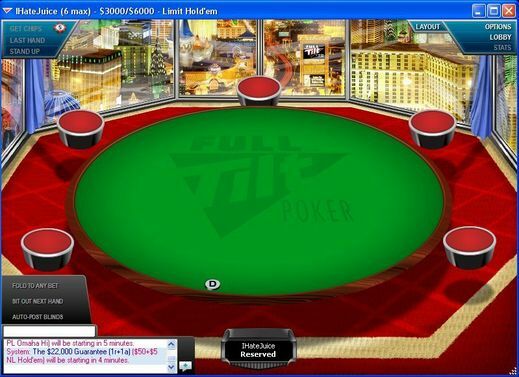 Most of the profits have come at $2,000-$4,000 on Full Tilt Poker against the likes of Phil Ivey and Patrik Antonius. In a recent match versus Ivey, where the Team Full Tilt Pro finished in the red more than $100,000, IHateJuice expressed interest in playing $3,000-$6,000. He asked Ivey if such a table could be created, and Ivey seemed responsive to the idea. 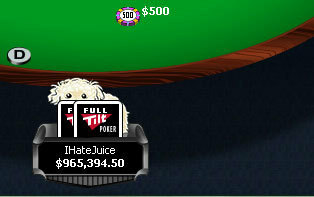 On Monday, only a couple days after the brief conversation in the chat box, the online site’s software included a new $3,000-$6,000 six-max limit hold’em tabled called “IHateJuice.” The table currently offers the highest stakes of any game on Full Tilt Poker. If you don’t have an account but would like to watch some of the new $3,000-$6,000 limit hold’em action, click on the banner below. Card Player readers are eligible for a deposit bonus up to $600. mav, stick to tiddlywinks son- poker needs less people like you.